Why is celebrated QB Jack Tuttle bailing on the Utes halfway through his freshman season? Not getting to play in last week’s rout of Arizona may have accelerated his departure. Jack Tuttle smiled and laughed Tuesday afternoon as he walked off Utah’s football practice field with starting quarterback Tyler Huntley. That scene became a clue regarding the future of the freshman QB, who has left Utah’s program and intends to transfer. In August and September, Tuttle usually was among the last players to leave, doing individual drills and working with receivers. 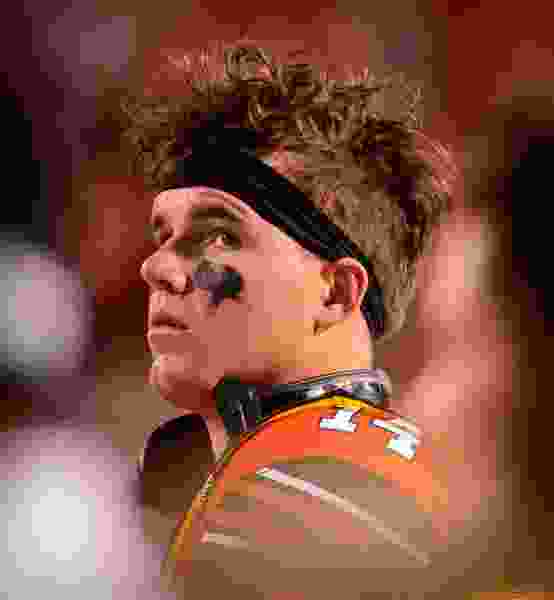 But he exited right after Tuesday's session ended, and now he's gone from the team after never taking the field in a game as the most celebrated quarterback recruit in school history. Tuttle’s status as Utah’s No. 3 quarterback, with Huntley scheduled to return as the starter in 2019 and redshirt freshman Jason Shelley ahead of Tuttle on the depth chart, suggested his future may come into question after this season. The effect came sooner than almost anyone could have anticipated. Utah confirmed Thursday that Tuttle no longer is part of the team. Tuttle committed to Utah in December 2016, just prior to Troy Taylor’s replacing Aaron Roderick as offensive coordinator and eight months before Huntley was promoted over senior Troy Williams as the 2017 starter. Tuttle stuck with the Utes. He endorsed Taylor’s offense, signed last December, then graduated from high school and enrolled at Utah in January, hoping that participating in spring practice would enable him to play or even start this season. Multiple quarterbacks in the class of 2018 are doing so in Power Five programs — notably USC’s JT Daniels, who will oppose the Utes on Saturday. Utah's staff never wavered about Huntley's hold on the job. In late August, Taylor and coach Kyle Whittingham could have named Tuttle the No. 2 QB in an effort to keep him happier. They made a calculated choice of Shelley, believing he was better prepared to play. Tuttle stayed only until midseason. Utah intended to redshirt Tuttle as part of a five-year plan — although coaches could have played him in as many as four games while preserving his year’s eligibility, according to a new NCAA rule. In that context, explanations exist for the timing of Tuttle’s move. Utah’s staff unwittingly may have accelerated his departure by not using him in Friday’s 42-10 win over Arizona. Shelley quarterbacked all three offensive possessions of the fourth quarter. The NCAA’s transfer database took effect Monday, along with new rules that prevent athletic programs from blocking transfers. And Friday is the last day to withdraw from fall-semester classes at Utah. The convergence of the calendar and that missed opportunity to play probably influenced Tuttle and his family. The news surprised Chris Hauser, his coach at Mission Hills High School in southern California. Hauser has communicated regularly with Tuttle this season, offering support and hearing only that Tuttle was persevering in the program. Hauser, though, started receiving messages from college coaches, wondering what he knew about Tuttle’s plans. Former Ute quarterback Jordan Wynn, who was involved in Tuttle's recruitment as an off-field staff member in 2016, had the same response: “Nature of the game,” he said. Quarterback transfers certainly are not uncommon in the landscape of college football. Tuttle’s case is meaningful, because his arrival was a major development for a program that has sent only 1986 signee Scott Mitchell and 2002 recruit Alex Smith on to significant careers as NFL quarterbacks in modern history. Utah fulfilled its promise to Tuttle of not signing other quarterbacks in the class of 2018. Otherwise, the Utes may have landed Corner Canyon High School’s Zach Wilson, now starting for BYU, or Lehi’s Cammon Cooper, a Washington State freshman. Tuttle’s move coincides with Saturday’s game vs. USC, the school that made a late recruiting push for him. Mix in this weekend’s official visit to Utah by highly ranked southern California prep quarterback Jayden Daniels (not related to JT Daniels), and the result is a multilayered story, with the kind of drama that only teenage quarterbacks can generate. Tuesday • Goes through practice on the final day of weekly media availability. Wednesday • Transfer plans first reported by the Ute Zone website, confirmed by The Tribune.